The Force finally awakened in Jamaica on December 23rd. After dodging spoilers and the urge to attack the offices of my local movie theatre company I finally descended upon the first public showing of Star Wars: The Force Awakens in Jamaica extremely anxious and in the presence of my fellow geeks. From the trademark opening crawl I was sure I was watching a Star Wars film and after the first 15 minutes, I felt that many of the ingredients that made Star Wars special was present. I wasn’t around in 1977 when Star Wars burst onto the scene and in 1999 when The Phantom Menace arrived I’ll admit that I wasn’t much of a Star Wars fan. Fast forward to today and I am quite invested in and knowledgeable of the franchise and was excited when a new series of movies was announced. 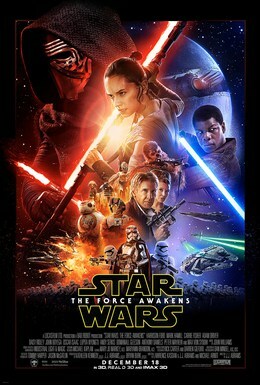 Star Wars: The Force Awakens is smashing box office records, and deservedly so. The movie is a delight to watch from start to finish. The old guard passing the torch onto the newcomers is very much evident in this film and while I am not as impressed as others by the performance of Daisy Ridley (Rey), John Boyega (Finn) and Adam Driver (Kylo) I expect them to grow into the roles and become stronger with each movie. I will however sing the praises of Harrison Ford whose portrayal of an aged Han Solo was like riding an emotional rollercoaster and he is easily the standout actor in this movie. I came out of this movie enjoying any and all scenes that featured star fighters. I can’t say much as I don’t want to spoil much but if you are like me and enjoy dogfights in space, over planets, explosions, turrets, ace pilots and the beautifully updated TIE fighter then strap in and enjoy. Overall this movie laid a great foundation for what’s to come and I highly recommend it even if you’ve never been a fan of Star Wars or new to the universe. I did my best to keep this post as spoiler free as possible but tweet me @Jamaipanese with your thoughts on Star Wars: The Force Awakens and what you think is still to come. I guess I better dodge this spoiler then.